Japan is undoubtedly a land of abundant natural beauty. Its long island chain spans a huge diversity of environments that famously enjoy four distinct seasons. While the Japanese people are great lovers of nature, thousands of years of life on the archipelago have made swathes of untouched splendor somewhat hard to find. Yet Shirakami Sanchi, a 169.7 sq. kilometer expanse of virgin forest in the north of Honshu, is just such a place. 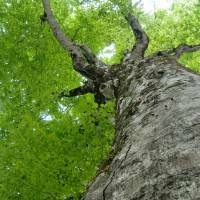 Inscribed as a UNESCO World Heritage site in 1993, it touches both Akita and Aomori prefectures and is a sanctuary for the buna (Japanese beech) tree, just about any mammal found in other parts of Honshu and a few rare ones for good measure. 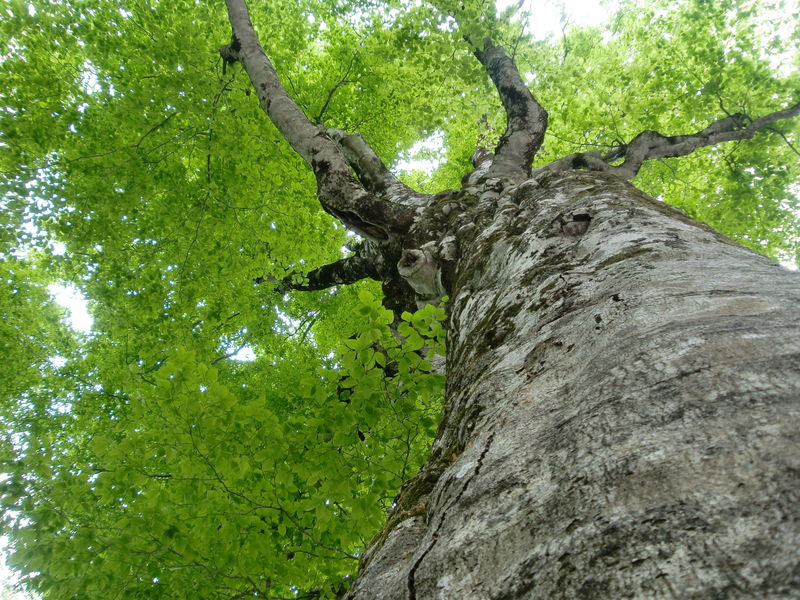 Whereas the biodiversity of many of Earth’s primeval beech forests was decimated by continental glaciation about 2 million years ago, the forests of northern Japan escaped that fate, making them living time capsules of a kind. Japanese beech trees, being extremely supple, are uniquely resistant to heavy snowfalls of the type that regularly assault Honshu’s inland sea coast, and although not particularly desirable as lumber, their numbers have nonetheless dwindled as humans cleared space for more profitable trees. The area’s chief draw is therefore its natural beauty, of interest to a gamut of scientists as well as hikers, climbers and photographers. The terrain of Shirakami Sanchi is rugged; its mountains are everywhere creased by ancient streams and punctuated by waterfalls. According to UNESCO, more than 50 percent of the area consists of “deep valleys with steep slopes.” Recommended visiting times are late spring and early summer, when the waterways are flush with melted snow and then rain, and autumn, when the blanket of foliage changes color in a spectacle reminiscent of slow-motion fireworks. Although the section of forest that was inscribed by UNESCO is relatively small, the Shirakami Sanchi commonly referred to in Japan is a much larger 1,300 sq. kilometer tract of nature. 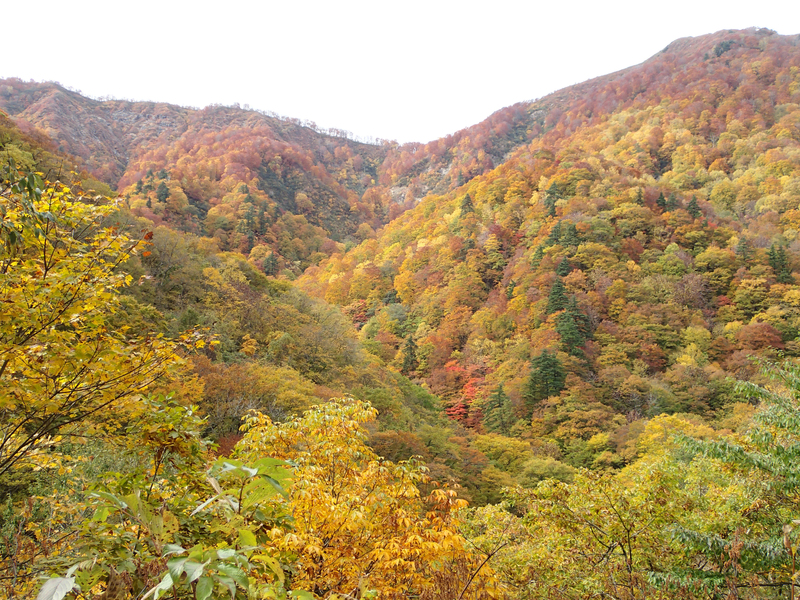 To enter the World Heritage area requires special permission and procedures, which can be applied for in advance by mail or at the Aomori office of the Tohoku Regional Forest Office. Although the level of preservation is highest within the World Heritage area, the larger forest holds a wealth of beauty for the average hiker or climber and requires no special permission to enter. One such place is Mount Shirakami. The highest point in Shirakami Sanchi at 1,232 meters, this mountain can be accessed by anyone with the right equipment, stamina, and experience. The summit has limited washroom and shelter facilities, but the views along the way (especially of the sea) are said to be breathtaking. 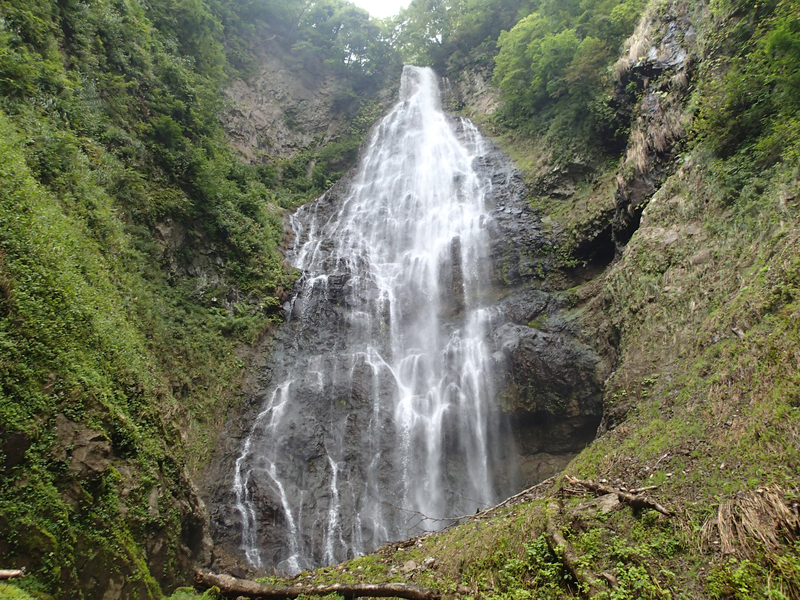 Another must-see is Anmon Falls, on Shirakami Sanchi’s northeastern side. Located an easy 90-minute hike from the trailhead, this remarkable natural feature has three sections: the final drop, which visitors see first, is 26 meters. The next is a 37-meter drop, topped only by the final spectacular 42-meter drop at the apex. The Japanese word fushigi, which indicates a mix of wonder, mystery and strangeness, could accurately describe this place. 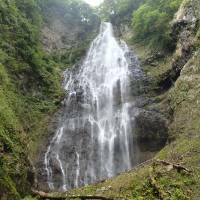 Other worthwhile destinations include the scenic Nihon Canyon, which is connected by walking trails to Juniko, a series of small lakes. Aoike, perhaps the most notable of these, has a luminous, dreamlike blue hue. 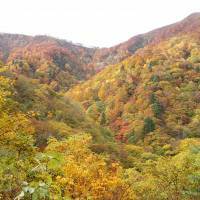 Tanashiro Swamp, Dairakyo Gorge, and mounts Futatsumori and Komaga are all worth visiting as well. Taken together, there is enough exploring to fill several days or more. 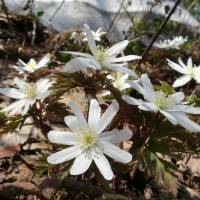 Wildlife in and around the preserve is bountiful and includes more than 500 species of plant and 87 species of bird, including the golden eagle and black woodpecker. Japanese serow and black bear can be seen and nine amphibians and seven reptile species have been recorded. Entomologists are in for a treat, as the area is home to at least 2,212 insect species. Of particular interest are the Matagi, a group of people that still hunt, cut wood, and conduct religious activities in Shirakami Sanchi in accordance with their ancient tradition. The Matagi’s activities are limited and conducted only for direct subsistence, which stands in stark contrast to commercial logging and other human practices that have permanently altered ecosystems for the worse around the world. The people who now live in the Shirakami mountain area generally continue a culture that can be traced back to the early Jomon people, including distinct styles of woodcutting, storage of vegetables in the ground, and the use of burned beechwood ash to remove the bitterness from horse chestnuts and acorns for human consumption. There are several worthwhile visitor centers. In Fujisato, Akita Prefecture, the World Heritage Conservation Center features a museum dedicated to the forest. The Shirakami Sanchi Visitor Center boasts 3-D models of the fauna and ecosystem, and an IMAX screen shows a 30-minute film about the area five times a day. In Japan, beautiful scenery is never too far from the bustling cities, but all too often it has been shaped, cleared, or paved by people. While hikes to temples and shrines are a great chance to exercise and relax, virgin forests like Shirakami Sanchi are truly rare, not-to-be-missed opportunities to commune with nature that is all but unadulterated by human influence. Given the pace of human population growth and the attendant rush for resources, sites like this are likely to become even more rare. The breathless beauty of this woodland is well worth the time and likely to remain memorable for a lifetime. Access: Shirakami Sanchi has several access points, including Odate-Noshiro Airport, which has daily flights from Tokyo and Osaka. By train from Tokyo, take the Tohoku Shinkansen to Shin-Aomori station and transfer to a local line to get to Hirosaki station for optimum access. 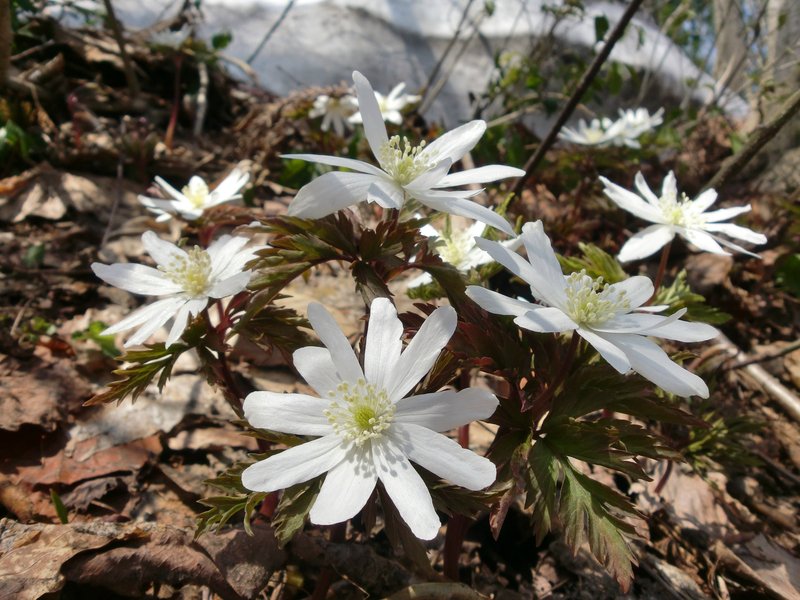 Noshiro, Akita Prefecture, is another access point. Rental cars are recommended for getting around the vast Shirakami area. Large sections of Shirakami Sanchi are inaccessible during the winter, so be sure to plan your trip in advance.